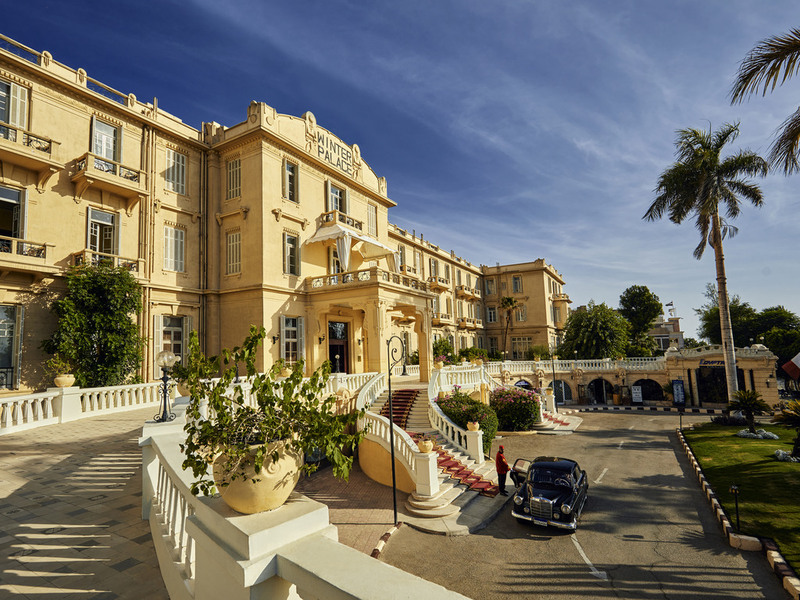 Vacationers and business travellers alike will find their heart's desire at the historic Sofitel Winter Palace Luxor. We can help you organize business events on-site, while just minutes away, there's the ultra-modern Luxor Convention Centre and other major business venues. Archaeology lovers will be dazzled by the Luxor Museum and the Luxor and Karnak Temples. The Medinet Habu - the Mortuary Temple of Ramses III - and the royal tombs of the Valleys of the Kings and Queens, never cease to amaze. Each of the 86 rooms and 6 suites appeals to a dream deep in your heart, calling on the allure of colonial charm, the distinction of fine woods, elegant materials and harmonious decor. Take in the spectacular view or unwind after a day of adventure. Chef Ménad Berkani inspires à la carte creations from crayfish to risotto at this opulent Luxor restaurant. Dine by candlelight among gilded mirrors; a guitarist strums quietly. Dress code: jacket and tie for men, smart for ladies. Reservations required. Vast sun-lit windows, polished wood floors and crimson-gold details enliven this elegant restaurant in Luxor. At a pristine white table, breakfast on fresh pastries and omelets made to order. In the evening, relax over gourmet International cuisine. In the Victorian Lounge, richly decorated with a majestic crystal chandelier and plush, pink oriental carpets, sip afternoon tea with delicate macarons and scones. King Farouk, the last King of Egypt, enjoyed the beloved tea ritual in this opulent salon. After a stroll through the gorgeous Winter Palace gardens, past the bougainvillea and fruit trees, refresh yourself at Central Park Bar in Luxor. On a peaceful palm-shaded terrace, sip Chardonnay or mint tea and enjoy a light, savory snack. On the vast Nile Terrace, savor afternoon tea and scones or unwind beneath a canvas umbrella with cool, sweet hibiscus tea. Sunsets are beautiful. Agatha Christie relished these same Nile River and West Bank views as she penned Death on the Nile. Deep red walls, damask fabrics, and rich wood paneling add French elegance to this cozy Luxor bar. Sip fine champagne and French wines to the soothing sound of classical piano every night. Traditional afternoon tea is served in the library lounge. Best hotel l have ever stayed and l have stayed at hundreds. Magnificent. Tres magnifique. The only thing l might query was the bellman leaving my baggage in the corner of the lobby unattended for about five hours while l was away and waiting for a late departure. It was very previlged and the staff is your key of success, They went above and beyond to make it great and they did specially Mohamed Mostafa , He is really super helpful and accommodating. We are very impressed by the kindness of the staff and their helpfulness. We felt very welcomed and received plenty of kind attentions. TMr Mostafa from the reception was exceptional. The overall managment of the establishment has much improved since last year. Food and service at the restaurants were good. We also enjoyed the magnificient garden. We will definitely come back. The best ever Hotel that I ever stayed and that's why I keep coming back. The staff at the hotel where exceptional with no request to much trouble for them, our room was absolutely superb we have never had better anywhere. This hotel has retains great charm and character. The Room at the rear had a superb view of the gardens from a large balcony. The 1884 Dining Room is excellent with a superb menu and wine list. The staff are all most helpful. If you wish to go to a Hotel that staff will try to do everything to make your stay as good as it gets this is the place. I had a great time in the hotel. The staffs were very helpful and allowed me to my room before the regular check-in time. The garden is so beautiful and the pool is great. I will definitely stay here again. Our stay was less than grand. Unfortunately, like many other places in Egypt, the upkeep of the palace was far from grand. We had stained rugs, furniture and curtains throughout the two rooms we stayed making the rooms feel dirty no matter how much they cleaned. The hallway rugs and furniture were stained and shabby. It was very disappointing to see our view to the Nile also included a garden that included dead flowers and trees. Where there was once grass, were piles of dirt. The positives included the garden in the back. It was beautiful. The breakfast was amazing. A large variety and very delicious. Staff was wonderful. Even where untrained, they all smile, all polite and very helpful. 1886 and the main restaurant need to have the food experience upgraded. Both my dinners were not good. The staff rescued the experience. All was great, room was beautiful, excellent food and great service and very helpful staff. And a special thank you to Mohamad Mostafa,he really made a big effort with us during the C/N and he was always there when we needed him.plus the restaurant guys, they did a great job. I stayed for 2 nights on 4 & 5 March 2019. My room is the Nile River room on 3rd floor. It's got comfy bed, nice furnishings & quite spacious. Coffee & tea making facility as well as bar fridge are also there. I had afternoon tea, lunch at the Pool & dinner at the Corniche . All are yummy. Breakfast was also very good. Big selection and also quite scrumptious. Staff are very professional and courteous. It's an historical hotel and they did their best to maintain that old world charm atmosphere. Some exteriors definitely need a bit of sprucing up and this is just my observation. I have been fortunate enough to stay here quite often in the last few years, BUT every time this wonderful hotel and its staff, just get better and better. There have been some lovely new fabrics and paint put on furniture and walls in the public areas, and the lobby now looks outstanding, and so beautiful. All the people who work here from the top Selim Shawer, to the very youngest person, find it a total pleasure to do anything they can to make one's stay even more magical. Each time I think no more is possible, and each time it is proved that one can improve on what one thinks is already the best. My total thanks and praise to one and all, but especially to Mr Selim, a fine young man, who knows exactly what is going on everywhere, without having to be told! I am truly amazed at this wonderful hotel, and am just grateful that I can stay here, and enjoy it. Thank you to everybody. The hotel was a dream. everything was perfect and the all experience was enhanced by well trained and attentive staff. We have been going to the winter palace for few years in a row and in the last 2 years we have noticed a strong improvement in term of quality of service, staff training and overall experience.